Australia hit back Friday at criticism of its response to thousands of migrants stranded at sea in Southeast Asia, saying it was generous towards refugees in the region. When asked Thursday whether Australia would offer to resettle the migrants from Bangladesh and Myanmar's oppressed Rohingya minority, Prime Minister Tony Abbott replied, "nope, nope, nope". 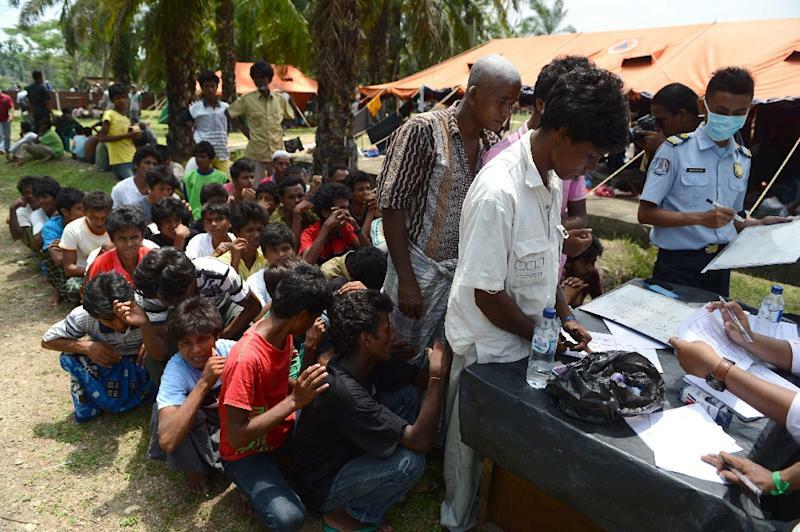 The reaction led an Indonesian official to suggest the country was shirking its responsibilities under the United Nations Refugee Convention. But Immigration Minister Peter Dutton said Australia's hardline policy, which includes refusing to resettle asylum-seekers who arrive on boats and turning back vessels, had helped stop people risking their lives at sea. Australia was a significant donor to the Office of the United Nations High Commissioner for Refugees (UNHCR) and the International Organisation for Migration (IOM) in Indonesia, he said. "The fact is we provide, by way of donor support, the largest amount of money to the IOM and to the UNHCR in Indonesia," Dutton said. He added that the Australian government offers "significant support to the settlement of refugees in this country". Dutton said that with millions of people displaced around the world, Australia could not help everyone. "We cannot be in a situation, having the most generous humanitarian programme in the world, to then... pretend cruelly to people that somehow we can take millions of people from regions around the world that would be displaced, we just can't do that," he said. As the migrant crisis unfolded, Malaysia, Indonesia and Thailand were heavily criticised for refusing to take in boats overloaded with passengers fleeing poverty or persecution. Canberra had also been under pressure to help, and Abbott's comments prompted Indonesia's foreign ministry spokesman Arrmanatha Nasir to say countries such as Australia, which are signatories to the Refugee Convention, should shoulder their responsibilities. "If you believe in that when you signed it, then you should act upon it and carry out your responsibility," Nasir told reporters on Thursday. Dutton dismissed the criticism, saying it was not representative of the views of the government of Indonesia, which along with Malaysia has since agreed to accept the boat people for a year or until they can be resettled or repatriated. Abbott also stood by his earlier statement, saying Friday it would be "utterly irresponsible" to do anything that could encourage people to take to the sea in boats.